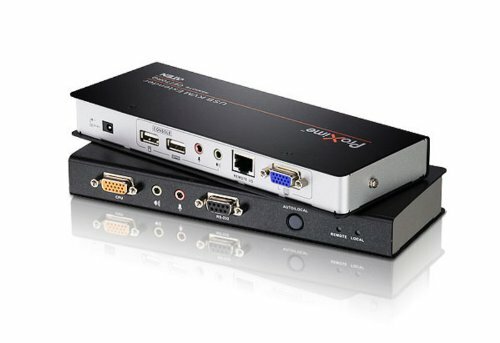 Aten CE770 USB KVM Extender with Deskew function. The automatic signal compensation and RS-232 serial functionality allow access to a computer system from a remote USB console. Allow access to a computer system from a remote USB console. The CE770 supports RGB delay tuner to manually synchronize the RGB signals.